What springs to mind when you think of Blackpool?
. Sticks of rock and donkey rides on the beach?
. Winning a small fortune on the arcade ‘Two Pence’ slot machines, followed by a stomach churning ride on the Big Dipper?
. Or maybe sticking your toe in to the freezing depths of the North Sea on a rainy summers day and hoping your appendages haven’t dissolved by the time you lift your foot back to the surface? Ah. Happy memories to treasure forever I’m sure. But I’ll hazard a guess that ‘gin’ doesn’t rank very highly on many of your lists. And by any standards, I think we can all agree that, that’s a list that makes for sad reading! But fear not my friends, as not all heroes wear capes and this tale does indeed have a happy ending! So who is our ‘knight in shining armour’, riding in on their white stallion to come to our gin deprived rescue? (Note: they weren’t actually wearing armour as I imagine the sea air would cause havoc with rust, and in retrospect they may have actually been riding one of those aforementioned donkeys..). Well, quite literally taking gin to the top of the Tower, allow me to introduce you to my new friends; ‘Gin Festival’. Do you like festivals? Do you love gin? If the answer to these two questions is yes, then this is the event for you! 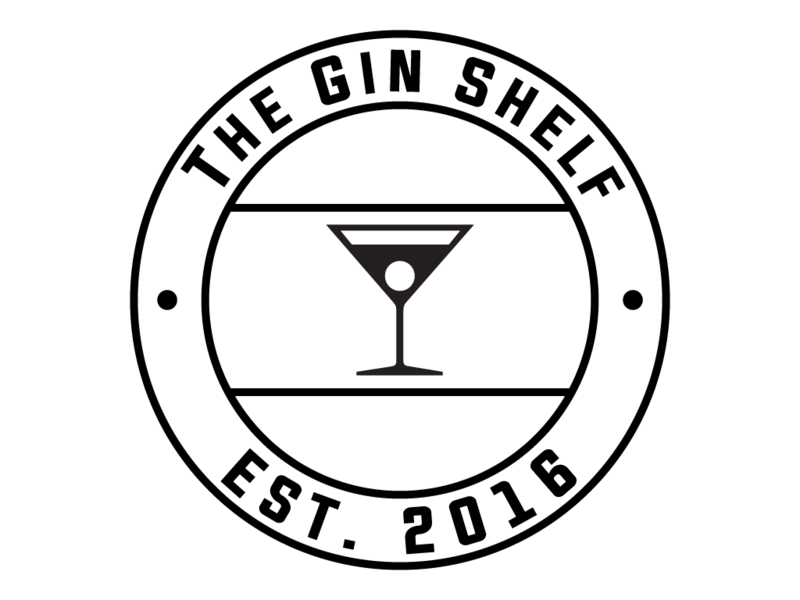 Established in 2013, Gin Festival is now in its third year and is fast becoming an ‘g-institution’ on the gin lovers calendar, having grown from being a single event in to a ‘run away gin train’, hitting towns & cities all over the UK. Fast forward to Saturday 11th March, and I’m stood on Blackpool’s ‘Comedy Carpet’, poised in anticipation. With the promise of over 100 gins available to try, Gin Festival is visiting the Blackpool Tower Ballroom for the very first time. To say I was excited would be an understatement. Attending in the capacity of ‘Official Blogger’ I excitedly collected my Bloggers pass and perfectly collated catalogue of the gins on offer (truly mesmerising!) and headed in to the festivities. As I enthusiastically browsed the ‘menu’, I was blown away by the scale of the operation. This is the gin equivalent of Hollywoods ‘Walk of Fame’, showcasing the very best in British and international gins! Of course, you’ll be able to find some of the more established brands on the scene, ensuring that your favourite G&T is only ever footsteps away. But perhaps more exciting still is the prospect of trying some of the newer craft offerings – a number of which are Gin Festival exclusives! And if you’re eager to enjoy your chosen tipple in the way that the distiller envisioned, then the team have got your back! To ensure all drinks are created to their perfect serve, each gin has been carefully matched with its garnish and a specifically paired Fever-Tree Tonic or Mixer. If the devil is in the detail, then its touches like this that make Gin Festival stand out a mile. Personal preferences will always colour opinions on what makes a good gin. But for my money, there were three stand out winners at the festival and absolute must try’s! The award for the most intriguing gin of the festival has to go to ‘Black Tomato Gin’. Hailing from the Netherlands, this 100% organic little beauty is the first gin to use black tomatoes as a core botanical (perhaps unsurprisingly! ), as well as a few drops of sea water, both sourced from the local vicinity of the distillery. Now, i’ll admit to being apprehensive at first, unsure of what I was going to find behind its matte black glass bottle. But I can assure you that the results were mind blowing! This is a mellow combination of sweet & savoury, with subtle fruit flavours and tangerine tones perfectly complementing an earthier root liquorice type spice. And it’s the inclusion of those tomatoes that really bring this drink together for me. They add a tanginess, and an almost mediterranean feel to proceedings, without being overpowering or in your face. Paired with Mediterranean Fever-Tree tonic, and garnished with orange & basil for its perfect serve, this was a very strong start indeed! It turns out that you can take the blogger out of Yorkshire, but you can’t take the Yorkshire out of the blogger! With Tinker, I stumbled upon a Leeds based elixir, created minutes away from my own stomping ground! Created by Gin Festivals very own founders, Jym and Marie Harris, crowd funding was used to gather the capital needed to cross the finish line and start production (the romance of which had me instantly hooked!). At the time of the festival, the brand was only three weeks old and new to market, with a palpable buzz around their distillers stand. As each gin enthusiast merrily sampled Tinker, I watched eyes light up at the realisation they had fallen upon something quite special. Taking inspiration from a Spanish style of distilling, where it’s makers really fell in love with this versatile spirit, this is unlike other gins you’ll have tried before! Bringing together juniper, coriander, orange, lemon, cassia, cinnamon, orris, angelica, liquorice and nutmeg, there is a definite spice to the pallet. But the genius inclusion of elderberries eliminates any potential for a bitter aftertaste, instead leaving you with a delightful finish of summer fruits and black currants! And it was ‘tinkering’ around with the recipe, until they landed on this formula that almost creates a Spanish ‘sunset in a glass’, that lead to its name. Topping up your glass with Fever-Tree Light tonic, and chucking a generous wedge of pear in to the equation for good measure, ensures a perfect serve every time. This gin is a triumph and I could happily drink it all day – so much so that I went straight to the festivals very own ‘off license’ and purchased a bottle, where it was on sale exclusively to Gin Festival. And to be the proud owner of a bottle from their very first batch? Well. That’s just swell! Using the Bathtub London Dry as it’s base, the gin is stored for several months in 50 litre octave casks, that previously housed American whiskey. And the fact that ‘the professor’ will only use each cask twice, to ensure the flavour profile isn’t diminished over time, is testimony to their passion and strive for excellence. And the result? This is unlike other cask aged gins I’ve tried. Of course you have the whiskey and rye flavour profile from the wood barrels, but this is supported by the orange tones that you’ll have fallen in love with in their flag ship offering. There’s lashings of smooth caramel on the pallet, adding a delightful creamy depth to the gin. Simply served over ice, with a splash of soda (if you like), this really was ‘love at first sip’ and it was only a matter of time before a bottle of this hand wrapped masterpiece ended up on my gin shelf! For those who just want to enjoy a few drinks with friends (absolutely nothing wrong with that in my book!) the Gin Festival offers the perfect opportunity, with an abundance of choice and a fantastic atmosphere to boot! But this event is about so much more than just ordering a glass of gin. It’s an opportunity to meet like minded people and bond over a shared passion for gin. It’s a chance to seek out and try some of the rarer, small batch gins that you won’t find on the high street. And a chance to brush up on your gin knowledge so you can show off when you get home! Where else can you immerse yourself in the inner history of your favourite gin brands, at the various master classes or demonstration stands available, whilst tapping your foot along to the endless stream of live music acts that glide across the stage, creating the perfect backdrop to a fantastic atmosphere. And if you find that your gin garnish isn’t enough to keep those hunger pangs at bay, then the variety of fantastic street food stands on offer will do wonders to maintain your gin fuelled stamina! I can heartily recommend the ‘Chic Pea Stew’ and artisan charcuterie boards for some of the finest meat, cheese and olives going! Festival founders Jym and Marie had a vision. They set out to create a place where gin enthusiasts could get together in one place to go out, enjoy fantastic entertainment and great food whilst drinking the best gins and learning more about all things juniper. Through Gin Festival, and my Blackpool experience, they have delivered this by the bucket (and spade…) load! With huge thanks to ‘Gin Festival’ for having me and my guests at their fantastic Blackpool event!